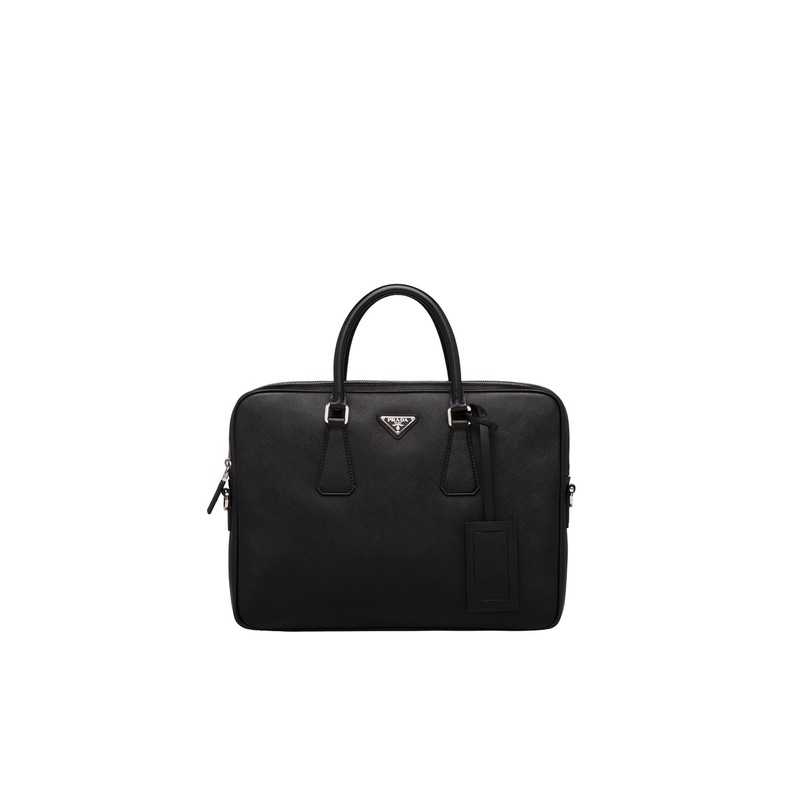 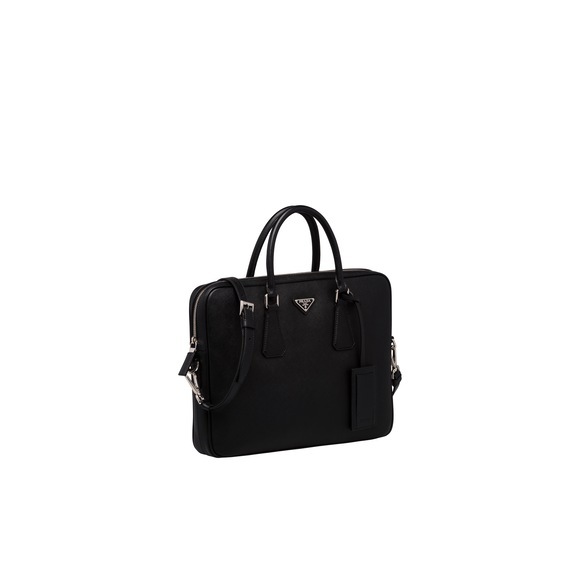 A curve-edged leather briefcase with metal Prada lettering. 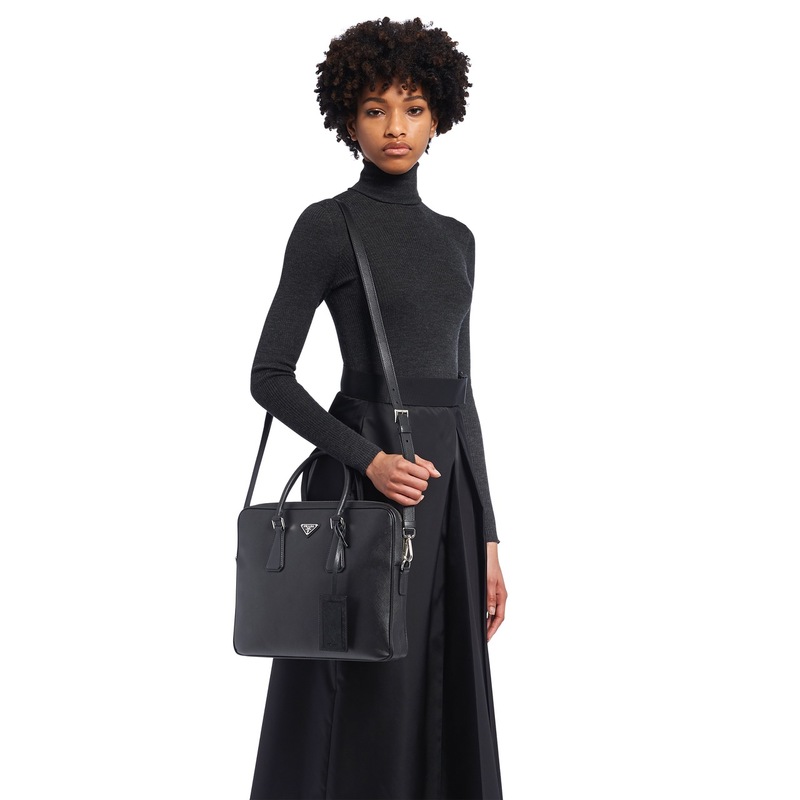 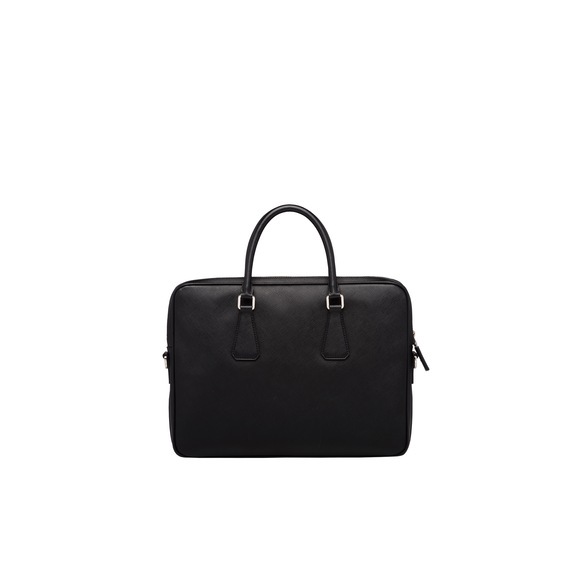 The case has two handles, a detachable shoulder strap and name tag. 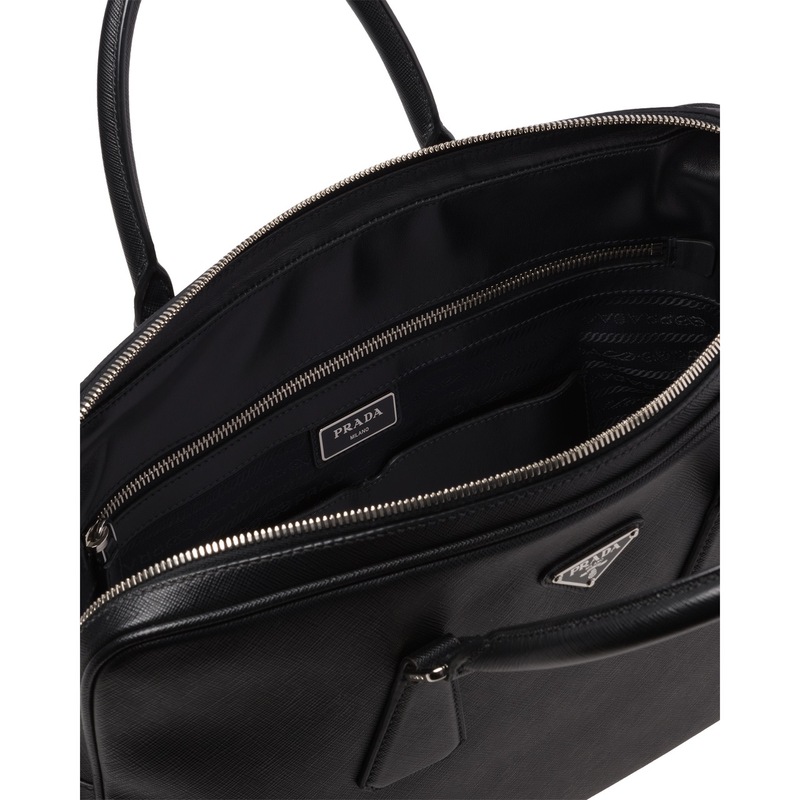 The inside has dedicated spaces for an iPad and two smartphones.